‘The hard part is figuring out where we agree,’ says Paul Ryan, House budget committee chairman. WASHINGTON — House and Senate budget negotiators say they’re not close to an agreement but plan to keep at it. “We’re trying to find common ground but we’re not there yet,” said House Budget Committee Chairman Paul Ryan, R-Wis. He said Republicans and Democrats have spent lots of time in the recent past airing their differences but it’s now time to find a way to strike an accord. “The hard part is figuring out where we agree,” Ryan said. Ryan convened a public meeting of negotiators on Wednesday, but the session was devoted to speech making and hearing testimony from Congressional Budget Office Director Douglas Elmendorf rather than actual negotiation. 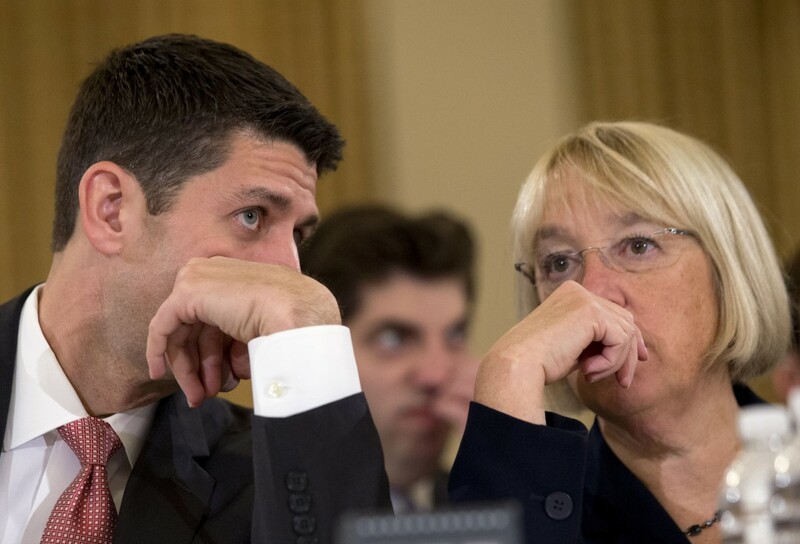 The real talks are taking place behind closed doors between Ryan and Senate Budget Committee Chairman Patty Murray, D-Wash. The duo met most recently on Tuesday evening. The talks are centered on finding ways to cut spending and special interest tax breaks to replace automatic across-the-board spending cuts that are slamming the Pentagon and domestic agencies. Murray wants to use tax revenue generated by closing tax loopholes and preferences to pay for some of the cost of providing relief from the automatic cuts known as sequestration. Options include eliminating a “carried interest” exemption that allows wealthy hedge fund managers to pay a lower tax rate than salaried workers. But Ryan and other Republicans oppose using such revenues to finance government spending. They instead want to curb loopholes and other major tax breaks but use the resulting revenue to lower income tax rates while reforming the hopelessly complex U.S. tax code. Ryan wants to cut so-called mandatory spending from the roughly two-thirds of the budget that operates on autopilot instead of being funded through annual appropriations bills. Ryan has suggested ideas like requiring wealthier Medicare beneficiaries to pay higher premiums and curbing the explosive growth of the military’s Tricare health program. Elmendorf issued familiar warnings about the corrosive effects on the economy of the growing national debt and said a larger budget agreement addressing the nation’s long-term fiscal ills would be better than simply addressing sequestration for a couple of years. “Big steps are better than small steps, but small steps are better than no steps at all,” Elmendorf said. Meanwhile, the Congressional Budget Office released a 300-plus page book of options to cut the budget. House-Senate negotiators are working against an informal Dec. 13 deadline to reach a deal, but top members of the House and Senate Appropriations committees — responsible for drafting an “omnibus” spending measure to fund agency budgets — want an earlier agreement that would give them more time to do their work. Some Republicans, notably tea partiers in the House, oppose easing the sequestration cuts, while others are eager for a deal.